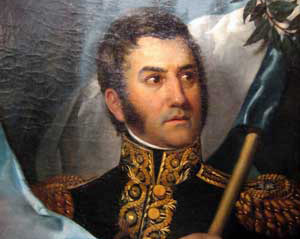 San Martin's Day commemorates the death of José de San Martín. It is always celebrated every 3rd Monday of August. Regarded as a national hero in Argentina, José de San Martín is honored by the remembrance of the country and his legacy. All people have this day off in order to show his importance to South American history. San Martin is considered one of the most important generals of Argentine history, for he not only won independence for them but Peru and Chile as well. Fighting against Spain was San Martin in the South and Simón Bolívar in the north they are considered the liberators of South America.